Based in Bedlington, Northumberland – our team of experienced and reliable Northumberland cleaners offer professional domestic home and commercial cleaning services throughout Northumberland and Newcastle Upon Tyne, at very competitive rates. Our cleaners work in pairs, and are all professionally trained, uniformed and DBS checked. 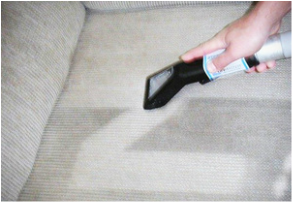 Our domestic home cleaning services are efficient, discreet and cost effective. We offer a full range of commercial cleaning services in Northumberland and Newcastle. GVS Cleaning operates throughout Northumberland and Newcastle Upon Tyne including: Ashington, Bamburgh, Bedlington, Blyth, Cramlington, Darras Hall, Gateshead, Gosforth, Jesmond, Monkseaton, Morpeth, Newbiggin-by-the-Sea, Newsham, North Shields, Ponteland, Seaton Deleval, South Shields, Stakeford, Sunderland, Tynemouth, Washington, Whitley Bay. Our sister company, GVS Valeting, provides vehicle cleaning and car valeting from their hand car wash and valeting centre in Bedlington, Northumberland. We welcome cars, vans, caravans, and mobile homes, whether you're looking for a simple car wash or a deep clean and thorough valet. Regular taxi and business discounts available. Looking for a Cleaner in Northumberland?